A wealthy antiques dealer has admitted strangling his seven-year-old daughter with a dressing gown cord. 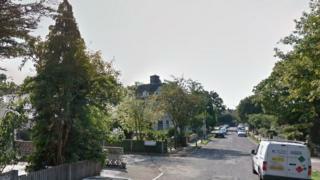 Robert Peters, 55, is accused of attacking Sophia at their home in Wimbledon, south-west London, in November. Peters denied murder but admitted manslaughter by reason of diminished responsibility. The prosecutor did not accept his plea and there will be a trial at the Old Bailey from 23 April. Peters, of Blenheim Road, was remanded in custody. A further case management hearing was set for 28 March. Sophia was rushed to hospital on 3 November and placed on a life support machine, but she died the following day.